Price isn't the only thing when it come to getting your Tri-Spoke products, experienced customer service is priceless! Tri-Spoke bearings are integral parts of a wheelchair wheel, and choosing the right bearings is imperative for avoiding unpleasant noises and poor handling. Sportaid is one of the most trusted online retailers of wheelchair wheel bearings, and Tri-Spoke is among the favorite manufacturers. 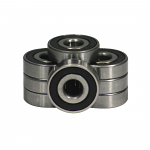 You can choose the best quality bearings from our large inventory. 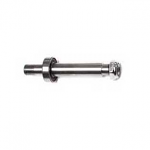 Our selection of Tri-Spoke includes 1/2" Tri-Spoke - Inside Bearings, 1/2" Tri-Spoke - Outside Bearings, and the Tri-Spoke 1/2" Axle with Inside Bearing, as well as Tri-Spoke Racing Handrims. Select from this expansive inventory and save big with Sportaid.com's everyday low prices. Browse through our online collection of wheelchair wheel components or feel free to call 1-800-743-7203 for help choosing the right product for you. You'll be glad you did! Save up to 36% on Tri-Spoke at Sportaid compared to the competition!